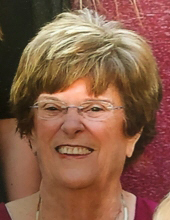 Janet Scurr, 83, of Gilman, died on Thursday, March 14, 2019 at Mercy Medical Center – West Lakes in West Des Moines, Iowa with her family by her side. A funeral service will be held at 10:30 a.m. on Monday, March 18th at the Grinnell Christian Church with a luncheon to follow the service at the church. A private family burial will follow at Prairie View Cemetery in Gilman. Visitation will begin at 12 noon on Sunday at the Smith Funeral Home in Grinnell and her family will receive friends from 2:00 p.m. until 5:00 p.m.
A memorial fund will be established. Memories and condolences may be shared with her family online at www.smithfh.com.